Okay, so I set some goals for myself at the beginning of this year. Nothing too crazy (at least I didn’t think so at the time), but nothing ever goes according to plan now does it? After these whirlwind first two weeks of the year, I figured I better do a little check-in with myself and see how things are going. Goal #1 – Write every day. Surprisingly, so far so good here. Now, I’m not writing the great American novel, or even a whole lot worth reading, but at least there has been time set aside and words being put to paper every single day. Gotta say, I’m proud of myself on this one. Goal #2 – Write one letter every week. Two weeks down. Two letters written. Boom! Onto the next. Goal #3 – Read one book a week. First up, Radical Candor by Kim Scott. To be fair, I started reading this just before Christmas, but it was slow going and got set aside with the holiday craziness. I didn’t want to try and start another book until I finished this one, so I decided to count it. (Hey! My blog. My rules.) Great read. Stepping into a new leadership role in my career and hearing about this book from some of the leaders I look up to made me want to read it. A lot of the advice and suggestions should be obvious–things like caring deeply about other people, giving the time and space needed to look at things from multiple perspectives before making big decisions, and the importance of being honest and direct without letting emotion take over. Leadership has become something of a buzzword, and I think a lot of people spend a lot of time talking about leadership without really being able to clearly define what good leadership actually looks like. The book is well-written, and it definitely prompted me to reflect on the people in my life who showed me what a leader should be. 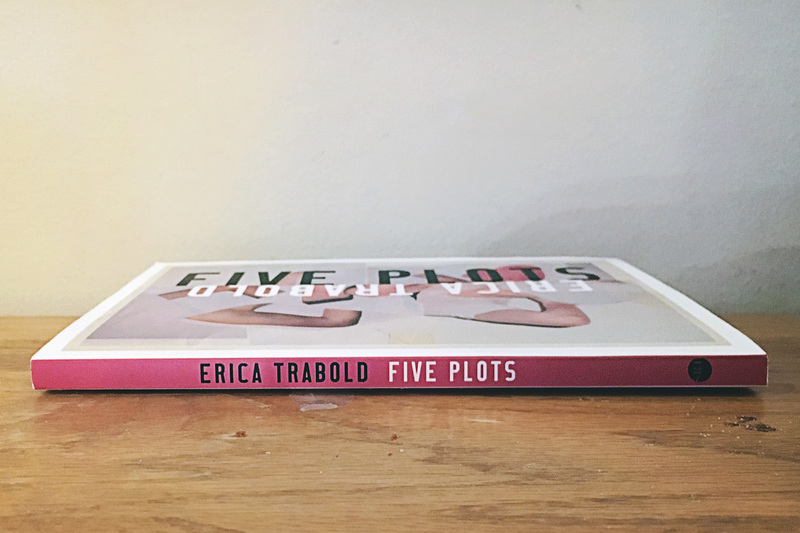 My second book of the new year is Five Plots by Erica Trabold. I found out about this book when I was catching up on some of my writing magazines over the holiday break. Erica Trabold is originally from Nebraska, and the book is a collection of her lyrical essays that explore how her life story was shaped by the Nebraska landscape, just as the Nebraska landscape was shaped by the people who lived and settled there. The writing stunning. Trabold was the winner of the inaugural Deborah Tall Lyric Essay Book Prize, and if you take the time to read her debut collection, you’ll see why. Anyone who was born, raised, or feels a connection to Nebraska should pick up a copy immediately. I already ordered one extra copy to send to some family who have moved away and still miss “home,” and I’m sure there will be more orders coming soon. The book is way good good not to share. Goal #4 – Exercise 30 minutes every day. Well, if I’ve fallen off the wagon anywhere, it’s here. Now, I will say, I was good right up until this weekend when Henry got sick. Some mornings I was waking up at 5:00 to do 30 minutes of rowing and 30 minutes of writing (how’s that for two birds with one stone?). Other days, I was making sure I took a break during the day to get my steps in around campus during lunch, or simply counting the amount of walking I was doing in between meetings and from my car to my office and back toward my daily amount. As busy as last week turned out to be, I’m giving myself a little grace here and saying that I earned two full days of being lazy with my sick kiddo snuggled in on the couch. Tomorrow’s a new day. Back at it. Let’s go.